When the doors to the 1953 Paris Salon opened, it marked a new dawn for Ferrari, as this was the event where the company introduced its first road-going model to bear the 250 badge. The 250 was Ferrari’s first true gran turismo, and it was dressed in the Pinin Farina design that would come to be known as the “Ferrari look,” forever intertwining the 250 with the passionate men of Maranello and Turin. Design cues created by the Ferrari-Pinin Farina partnership, like a long, low hood and oval radiator, continue to appear on Ferrari models of the present day. It was this design that has, for decades, embodied the spirit of cruising through the French Riviera, cocooning occupants and luggage in luxury while effortlessly eating up miles. 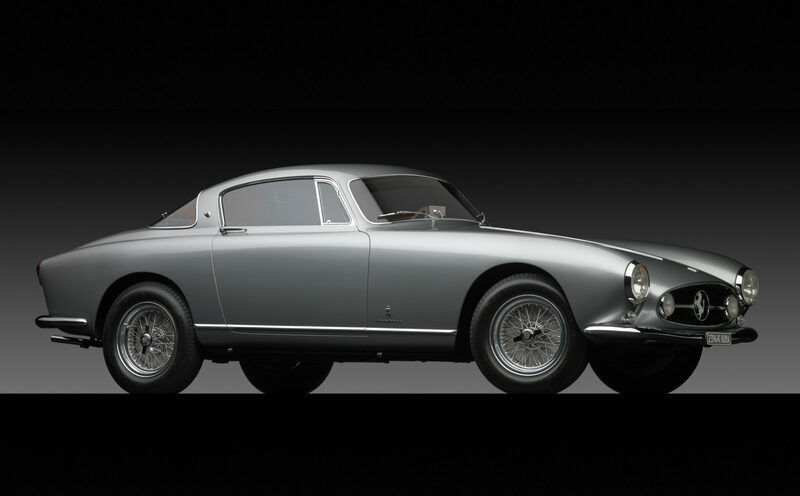 Offered here is the ultimate example of the “Ferrari look,” the sixth of eight custom-bodied 250 Europa GT chassis. Defined by its long nose, short rear deck, and gently sloping roof, design cues that are still evident in Ferraris of today, it is easily distinguishable as a one-off that has several unique features that visually set it apart from other Ferraris of the time. Its nose was elongated and lowered, the fender tips were pulled out, and it did not receive the typical Pininfarina egg crate front grille. Dual fog lamps were placed in the new grille opening, with the centre of the grille being adorned with a large Cavallino Rampante. This particular car was also equipped with vertically mounted taillights, which were larger than other 250 Europa GTs, and dual rear windshield wipers, which was an interesting and rare option for any automobile of this era.